Planning to discard your old computer? Or thinking of backing up all your data on an external drive? You can completely erase and format your hard drive without leaving any trace of previous files. This will prevent loss or theft of precious data from your computer as well as identity theft. When you click on Delete Windows and install it again, it won’t lead to deletion of data. Hackers can still access data from your computer by using data-recovery tools like NTFS Undelete. So to be sure all data is permanently deleted in your hard drive and not just hidden somewhere waiting for being overwritten, then you need to seek a permanent solution. Let us learn more about this in how to erase hard disk drive without any trace. Before you try any of the methods discussed here, make sure you take back up of your data on an external USB drive, external hard disk or save it on the Cloud. 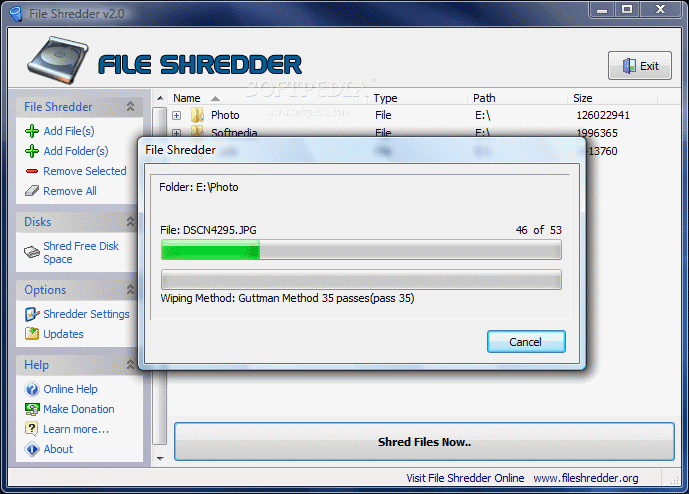 This open-source tool helps you delete only specific files and folders. If you don’t want to erase your entire hard drive, then Eraser is the tool you need. Install this program on your computer and select ‘Erase Schedule’ option at the top of the screen. Click on New Task and select files to clean using Add Data. You could even right-click on a file in Windows Explorer and select the Eraser option. It will help you permanently delete files quickly. File Shredder is a popular tool that helps in deleting data permanently on your computer. It is very easy to use and free to download. After you install and run the program, you can either ‘Add File’ or ‘Add Folder’. When you click ‘shred files now’ it will permanently delete the files that are in queue. In case you don’t want to leave anything to chance, then it is better to wipe clean your hard disk completely. When you wipe clean your hard disk will erase everything on the hard drive and there is no way to recover it back. You will even need to reinstall Windows if you wish to reuse your hard drive. Once you have taken a backup of your data, download a tool called DBAN. This tool will rewrite all data on the hard drive with random numbers so it becomes next to impossible to recover the data. If you really want to get rid of all the data on the hard disk drive and do not want anyone to be able to recover any data from it, then you have just one option. Destroy it! Yes, destroy your disk drive by grinding it, melting it, or drilling a nail through it. You could use Sims Recycling services to destroy your hard disk or SSD for you. There are many tools available online that help in erasing a hard disk drive. At times, it may take a few minutes to even hours for the data to be erased. It depends on the volume of data present on your hard disc drive. Think twice before you hit the erase button and then be rest assured your precious data would be sent to oblivion forever.